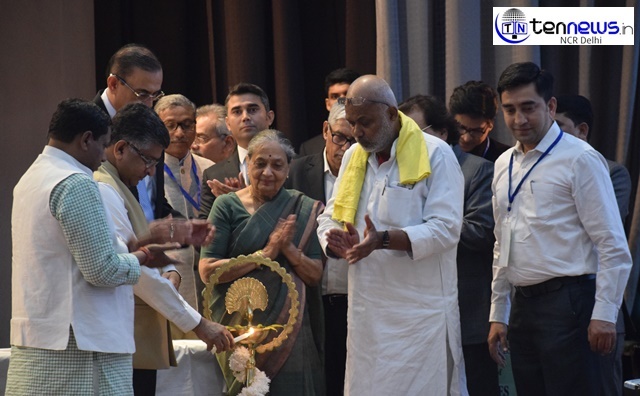 New Delhi: Forum for All India Judicial Services (FAIJS) organised a National Conference yesterday in the national capital demanding the creation of All India Judicial Services (AIJS)’. Ravi Shankar Prasad, Union Minister for Law & Justice, GOI was the Chief Guest at the event. Ram Shankar Katheria, Chairman National Commission for Scheduled Castes, GOI, Dr. Sanjay Paswan, Former Minister of State for Human Resource Development, GOI,Vikas Singh, President, Supreme Court Bar Association and Shobha Dixit, Former Justice Allahabad High Court were name to few among the other eminent speakers. The event was attended by over 600 lawyers and other dignitaries. “There should be adequate participation of deprived sections of society everywhere and creation of All India Judicial Services will ensure this in judiciary. This will also strengthen the trust of underprivileged in our institutions. Today over 3.3 crore legal cases are pending and a big reason for the same is that large percent of the judicial posts are vacant 40% of post for judges are remaining vacant only in High Courts across India. This percentage is increasing every year as around 85 judges retire every year but the addition is less than 30 per year. In view of this grave situation, several lawyers, subject-matter experts, dignitaries and pro bono individuals have come together under the banner of FAIJS with an aim to set the ground for the creation of All India Judicial Services AIJS. FAIJS will be undertaking pioneering initiatives in this direction to accomplish successful creation and implementation of AIJS.